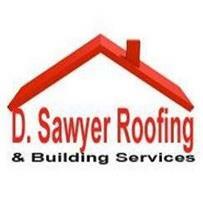 D.Sawyer Roofing & Building Contractors - Roofer based in Oakworth, West Yorkshire. D.Sawyer Roofing & Building Contractors offers a full range of roofing services throughout West Yorkshire. Whether you need us to repair your existing roof or install a new roof, we'll be delighted to help. From storm damage repairs to new roof installations and roof replacement, we offer it all. We have over 40 years of experience in the roofing trade and will complete your roofing project to the highest of standards. West Yorkshire area. Skipton. Ilkley. Hebden Bridge. Sowerby Bridge. Leeds. Baildon. Kieghley. Bradford. Otley. Harrogate. Huddersfield. Halifax. Toddmerdon.